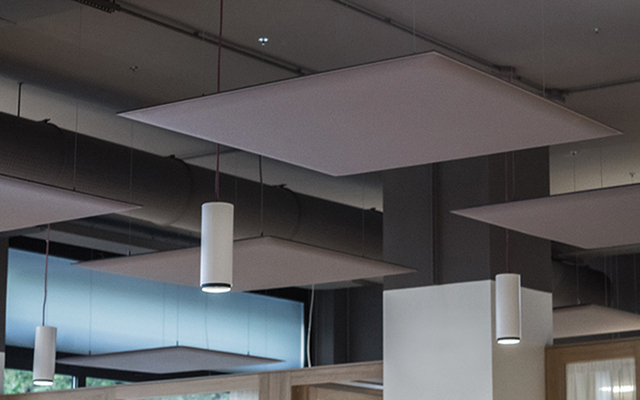 The brilliant intuition at the heart of Snowsound patented technology is based on the use of panels composed of material with variable densities, which achieve selective absorption at different frequencies and thus optimise the acoustical environment notwithstanding the thinness of the panels. The absence of frames and seams and the unusual characteristics of the material in the fabrication of the panels, render them extremely light, unobtrusive and adaptable to any environment. 1_The surfaces of the panel are coated with Trevira CS® polyester fabric firmly bonded to the inner wadding with which it forms a single body without a break. This property makes it possible to obtain a surface which, while visually appearing very soft, actually is resistant, difficult to tear or perforate. The panels were tested in a reverberation room according to UNI EN ISO 354 standards obtaining “Class A sound absorption” to UNI EN ISO 11654 standards. Snowsound technology was tested in the semi-anechoic lab at the University of Ferrara to measure the sound attenuation according to the ISO 10053 standard. The measurements were conducted with variety of configurations and demonstrate Snowsound significant capacity for sound attenuation. Performance was recorded at the various frequencies. The results of the tests represent another important design tool available to industry professionals. They tend to reflect, gradually absorbing less of the high frequencies (above 2,000Hz), those which by their nature are already in large part absorbed by the walls, the furnishings and by the very presence of people. The result thus obtained is a comprehensive, natural balance of sounds in the environment. 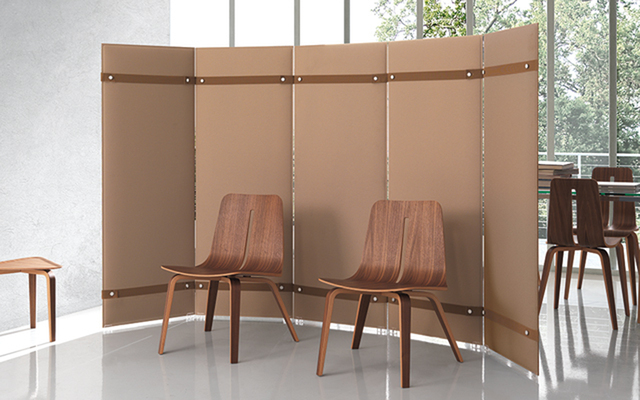 The frameless design gives Snowsound panels a completely sound absorbing surface. The entire surface functions as acoustic correction; no other material is present to hinder its sound-absorbency or reflect part of the sound. 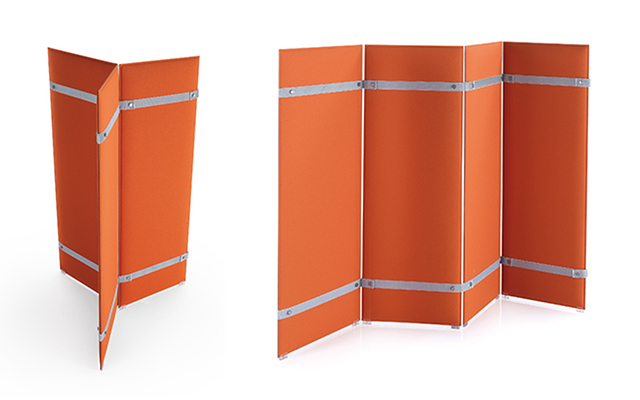 The panels have the same aesthetic, acoustic and functional characteristics on both sides. Snowsound products have recently received Greenguard Gold certification, indicating that they are low-emitting products and do contribute to improve indoor air quality. Representative samples of products bearing the Greenguard certification mark have been independently tested and certified that they meet UL’s rigorous third-party Greenguard certification standards, which are among the most stringent in the world. To help reduce indoor air pollution, architects, designers, specifiers and building owners should choose materials and products which release the fewest possible pollutants (also known as low-emitting products). A great way to do this is by choosing products that are Greenguard certified, which means they have been screened for over 10,000 chemicals and do not emit high levels of chemical pollutants. Greenguard Gold certified products offer stricter certification criteria for sensitive individuals, such as children and the elderly, and are ideal for use in schools and healthcare facilities. Greenguard certified products also contribute toward credits within the indoor environmental quality section of the leadership in energy and environmental design (LEED) building rating system. Click here to download certifications. The panels have no detectable formaldehyde contents, tested according to the UNI EN 717-2. The panels have been made entirely of polyester; therefore they are “single material” and 100% recyclable without the need of having to separate the outer fabric from the sound-absorbing inner material. Also, all components are made of single materials, plastic or metal and can be easily disassembled, thus permitting recycling the whole product at 100%. 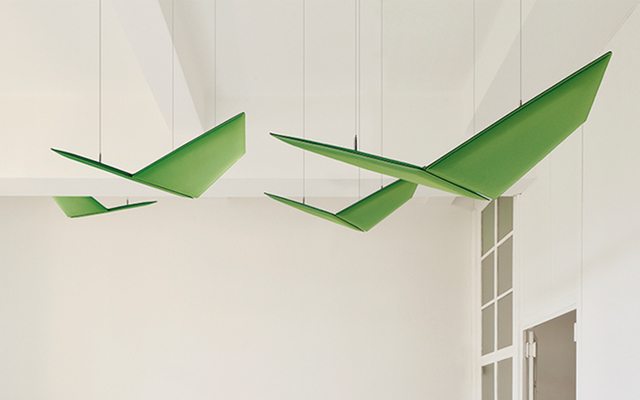 The internal sound-absorbing material is produced with up to 30% recycled material. 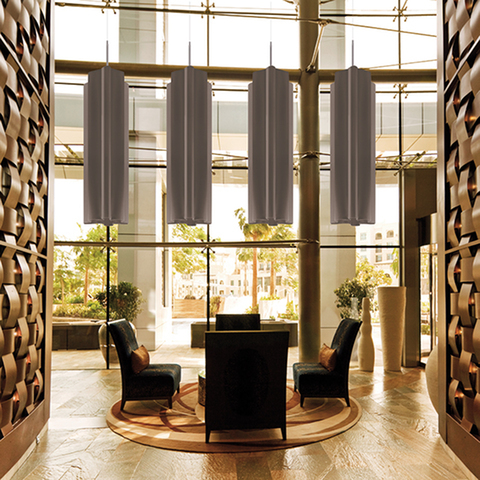 The panels do not contain felt or other organic materials which are difficult to recycle. 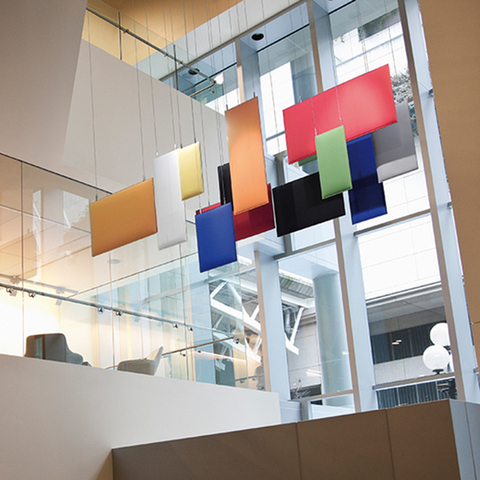 Snowsound panels, when hanging from the ceiling, all bear the CE mark, according to the harmonised technical specification EN 13964 for use as a suspended ceiling, to facilitate its sale in the European Community, pursuant to Regulation (EU) no. 305/2011. The testing and technical process that led to its CE marking ensures that the products meet quality and safety standards required by product regulations. The technical data sheets and the performance declaration provided with these types of products allow customer to assess and choose the best technical solution depending on the installation needs and requirements. 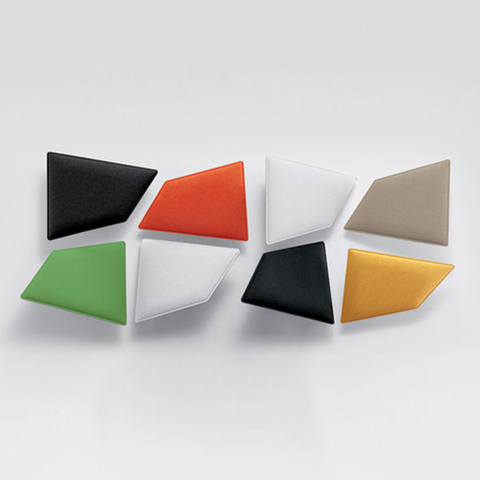 The single material panel Snowsound, in its entirety, external fabric and sound absorbing interior material, has Italian Class 1 and Euroclass B-s2, d0 classification as to reaction to fire. The tests were done on finished panels, composed of sound-absorbing materials upholstered in fabric on both sides, as required by law. This type of product is not conducive to testing the upholstery and padding separately. handle panels, averaging 3.4 Kg per m2. The absence of an airspace or cavity between the fabric and the sound-absorbing material significantly decreases the accumulation of dust, pollen or insect infestation. The seamless surface of the panel is easy to clean with appropriate detergents..
SM TASARIM ORGANIZASYON PAZARLAMA VE DIS TIC. LTD.STI.